What is the Multi-Cam Direct Control Panel? 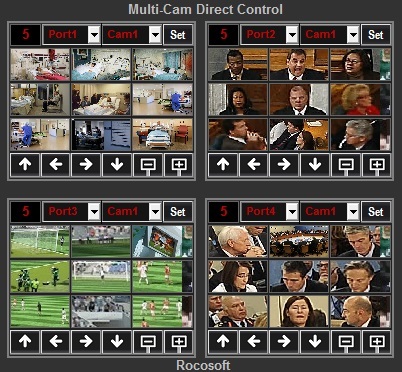 The Multi-Cam Direct Control panel is a panel that shows you an overview of four cameras. Each block is assigned a port and a camera (both of which you choose), and also includes the ability to manage up to 9 presets and to control your cameras with simple directional buttons. This tool makes it exceedingly easy to manage 4 of your cameras quickly and easily - independent of the main PTZJoy interface. From the main PTZJoy panel, click on the "Multi-Joy" button located towards the bottom of the interface. Once the Multi-Cam Direct Control panel is open, in each block configure which port and camera you'd like that block to use from the pictured Drop-Down menus. Once the block has an assigned camera, click any preset to call it. You can fine-tune each preset by clicking which preset you'd like to set, moving the camera into position, and clicking "Set". Each camera block can be assigned a different camera - so you can assign camera 1 to block 1, camera 3 to block 2, camera 2 to block 3, etc. Any Visualets ("What's a Visualet?") you make for a camera will transfer to the Direct Camera control panel. So, if your Camera 1's preset 3 has a picture assigned to it, that picture will replace the Preset 3 box in the corresponding Direct Control camera block. 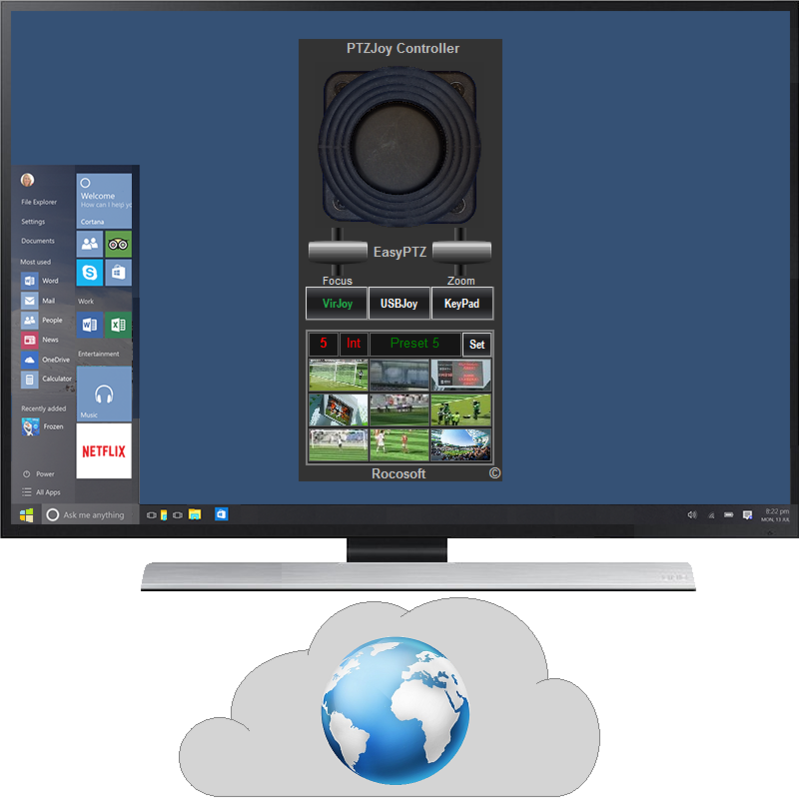 The Multi-Cam Direct Control Panel is only available in PTZJoy Studio. There are directional buttons in every camera block, so every camera can be quickly controlled. You do not need to switch between different cameras in PTZJoy - everything is seamless. 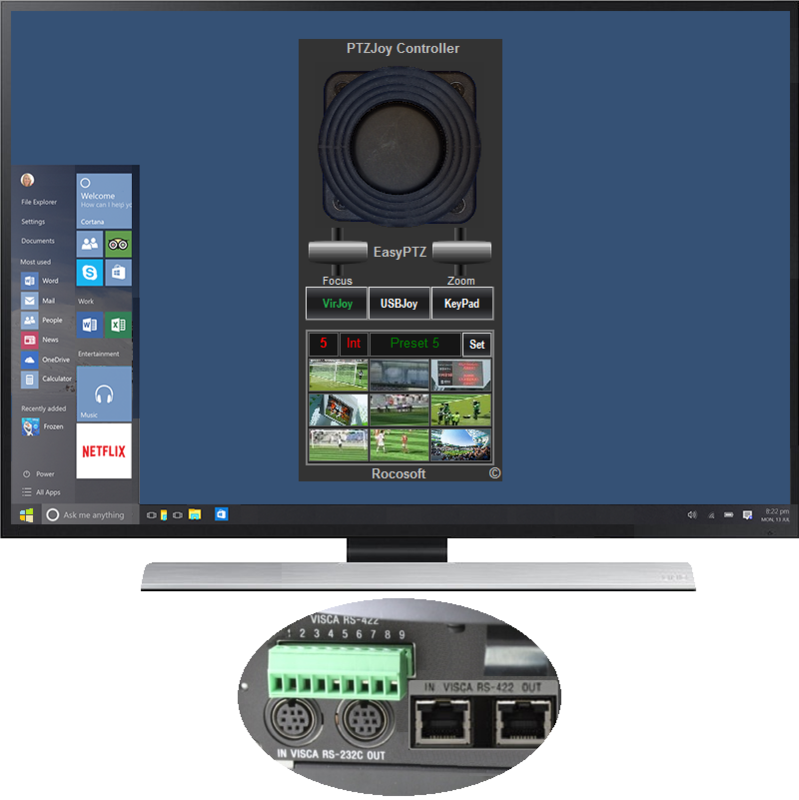 PTZJoy can be minimized to save space while using the Multi-Cam Direct Control panel. You can collapse the panel by clicking the title at the top.